Do Horrible Events Give Us Flashbulb Memories? We've all seen famous photographs of tragic events. Some of them have become iconic. We may also carry around a little set of personal snapshots in our minds, like perfectly preserved memories. But how can we be sure? There are a few moments that we can think back to with perfect clarity. We know where we were when they happened, and who was nearby, and what conversations we had with other people. Sometimes we can close our eyes and teleport into a three-dimensional recreation of them for a moment. These aren't traumatic memories; although they're unpleasant, they aren't accompanied by personal fear or pain. They are memories of tragic events, at the moment we heard about them. Most people today will remember September 11th in this way. Back in the 1970s, the perfectly clear memory of the current generation was the assassination of President Kennedy. On November 22nd, 1963, the nation went into shock as history changed in a moment. In 1977, two psychologists named Roger Brown and James Kulik realized that everyone they talked to had an unnaturally accurate memory of where they were and what they were doing when they heard about the shooting. It wasn't just dry facts, like place and time — each person held a snapshot of the memory in their mind. Brown and Kulik decided to call the phenomenon "flashbulb memory." Kulik and Brown went to work with a survey, asking people to write down what they remembered, what they felt, and how it compared to other memories, which has been the method of psychologists ever since. The phenomenon of flashbulb memory is tough to study because no one knows when an opportunity will present itself; and obviously such memories can't be from events in an individual's life. Leaving aside the fact that individual tragedies rarely make the news, a flashbulb memory is more an intellectual experience than a visceral one. As appalled as we feel when we learn of a national tragedy, it's a national tragedy, not a personal one. Kulik and Brown believed that there was a process, or perhaps a formula, for creating a flashbulb memory. Flashbulb memory formation requires surprise, and a sense of consequence and importance, which leads to a degree of "emotional arousal," that cements the moment in memory. Although later studies also underline the fact that surprise helps form memories, they indicate that long-anticipated events can also cause flashbulb memories. It's more about emotional resonance, and the willingness to mentally re-live the memory again and again. So a presidential inauguration, or a long-anticipated electoral victory, can be fixed in the mind, as long was they mean a lot to us, and we frequently dwell on them. Since the Kulik and Brown paper, many researchers have looked at flashbulb memories, and not all of them have believed what they saw. Memory is an uncertain thing, and frequently there's no objective way to test it. If it can be corroborated, it can also be corrupted. When Kulik and Brown asked people to fill out surveys regarding their memory of the Kennedy assassination, those people had probably seen TV footage, heard radio coverage, and read journalists' accounts of the event dozens of times. Their memories of the public event might have conformed to the recordings of the event, and their private memories were difficult to confirm. This is why more modern scientists try to break out the clipboards and the surveys as soon as the events occur. What they've found hasn't always supported the flashbulb memory theory. One famous study involved college students writing down their memories of the Challenger disaster — where they were, who they talked to, what they remembered of the event. Years later, the students were asked to write their memories out again. They were then given their original "diaries" of the explosion. Many were shocked by how much they misremembered, and how vivid those false memories were. We feel that we have a perfectly clear memory of a moment, but often we are wrong. Which isn't to say that flashbulb memories are a complete crock. Memory studies are always tough, and while that Challenger study did illustrate how imperfect flashbulb memories can be after a long time, it didn't examine how the memory faded, or how clear it was compared to other kinds of memory. Furthermore, there are studies that indicate that flashbulb memories do occur, especially in the very young. Children in early adolescence were asked about the Challenger explosion a few weeks after it happened, and then 14 months after it happened; they demonstrated "clear, consistent, and detailed," memories of the explosion. Another survey, conducted on people across the United States recently after September 11th, and again a decade later, showed that while people were fuzzy on some details, an overwhelmingly amount of them correctly remembered certain things. They had an unusually clear memory for places and sequences of events, recalling exactly where they were when they heard the news, and when certain things happened. This supports the idea of emotional upset causing flashbulb memories. People had memories of events that directly related to their emotions, but not details that didn't give them an emotional jolt. I think my first flashbulb memory was the Loma Prieta earthquake. I was in a library, and I remember the shelves in the children's section beginning to dance, and my mother hauling me towards the door. Recently, though, I learned that the earthquake was about twice as long as I would have estimated from memory. 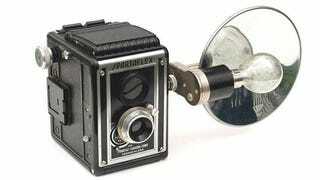 Do you have any flashbulb memories? If so, what do you think you got wrong about them?